Can the Golden State Warriors get any stronger? Apparently, yes. 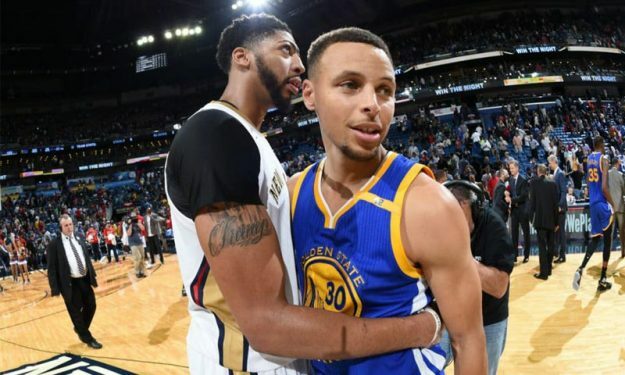 New Orleans Pelicans forward/center Anthony Davis is the primary target for the Golden State Warriors in the upcoming free agency, according to Tim Kawakami of The Athletic. The Warriors front office will look to acquire the All-Star big guy but in order to do that they’ll need to give back some major assets of the current roster, such as Klay Thompson and Draymond Green. “Are the Warriors still targeting New Orleans center Anthony Davis? Sure. Lacob and Myers love to circle the best names possible years in advance of their potential availability and figure out how they might be able to land the biggest fish out there. It used to be Kevin Durant.